The first day I arrived in Chico to begin Chico State, I fell in love with the community and people, and made a promise to myself to live and work here from then on. I have felt very fortunate to do so, and love helping people buy or sell their property. I have the dedication, commitment, expertise and integrity to assist you in the purchase or sale of your property. I am very experienced in contract writing, negotiations and protecting my clients’ best interests. 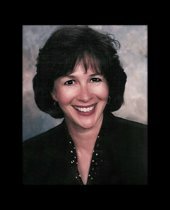 Full time Realtor specializing in residential real estate since 1994. I have worked at Coldwell Banker/DuFour Realty since 1995.